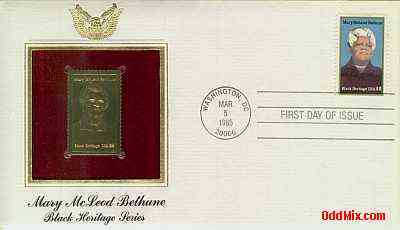 This 1985 Mary McLeod Bethune First Day Cover is a special 22kt Gold Replicas of United States Stamps memorabilia. It is part of the Black Heritage Series and it is a must for serious collections. First come first serve, only one special commemorative stamped envelope available!